Late last week, Cal Shakes was included as one of four California theaters mentioned in this Sunday’s “Summer Stages” feature in the print edition of the New York Times; the article shows Jay Yamada’s gorgeous photo of our 2008 production of Pericles, along with a brief summary of our season, focusing mostly on celebrated stage and screen actress Marsha Mason’s starring turn in Samuel Beckett’s Happy Days (Aug 12-Sep 6). The web version of the article is headlined by a big, beautiful version of the photo, taken by Cal Shakes board member, volunteer extraordinaire, and unofficial staff photographer Yamada. 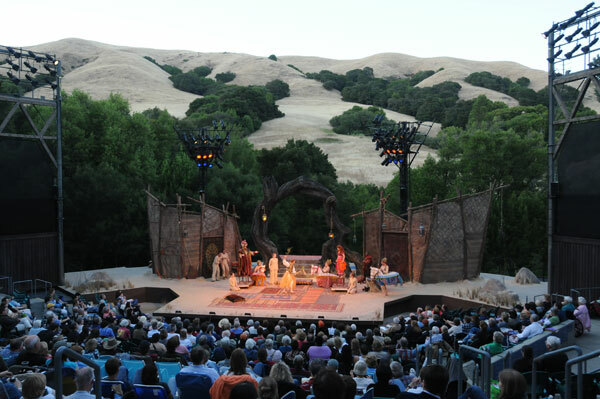 The web article contains the same text as the print edition, and includes more of the Bay Area theaters; you can view it online here.